Are you buying a gift for a golfer in 2018? Perhaps it is your partner’s birthday coming up, or you just feel like treating them. Of course, (whisper it) Christmas is on the way too and it will be here sooner than you think. In any case it is good to get an idea of what you are going to buy them. If you are buying for a keen golfer or someone who has expressed an interest in taking up the game, there is truly an almost unlimited variety of options to choose from – so how do you know if you are making the right choice? As a golf product specialist, we provide a full range of products, so we know exactly what golfers really want. Here is our list of some of the most popular golfing gifts throughout 2018. It can help you make the decision of which gift is going to be perfect for you. 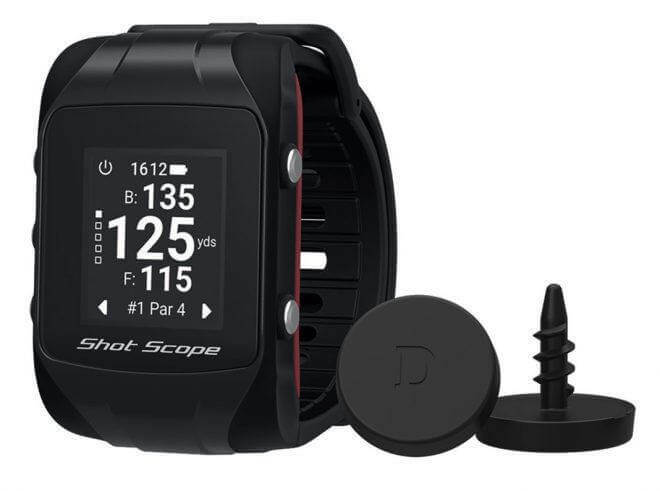 Undoubtedly one of the most popular items of the year has been the Shot Scope V2 golf watch. Smart watches are a must-have for golfers and this is one of the most impressive models, with smart GPS and automated performance tracking, allowing you to learn more from your experience out on the course. Simply attach to your wrist and set up in five minutes. Alternatively if you are looking for greater functionality it could be worth opting for a Golf Buddy VTX hand held GPS. With voice audio and Bluetooth connectivity, this handheld device is filled with a fantastic variety of features. GPSs, whether in the form of watches or handheld devices, are perfect for highly experienced golfers and beginners so this could be a good choice no matter who you are buying for. One thing that every golfer has in common is that they would love to improve their overall game. Of course, there are many ways to do this, but it is important to be utilising the right tools to make meaningful changes to form and consistency. The Orange Whip Swing Trainer is a favourite practice aid that could make a wonderful gift for keen golfers. It replicates the feel of swinging a golf club using a counterweighting system. This helps you to work on your natural swing motion. It has the additional benefit of functioning as an excellent golf fitness aid, as it strengthens the core and the muscles needed to play the shots. For a simple but practical practice aid, SKLZ Pro Rods are an easy and convenient way to help a golfer improve their putting. The short game is often overlooked, but almost all golfers could do with boosting their technique and consistency. The rods utilising marking that help golfers improve their ball alignment and striking. On the subject of improving your game, golf mats are a great option if you want to get better at home. 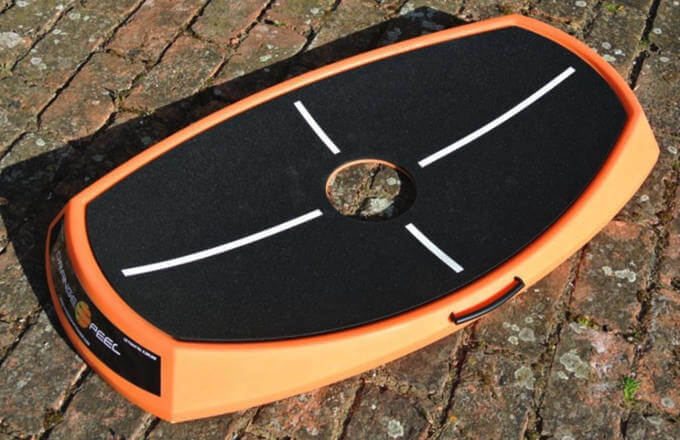 The Tee Turf golf mat has been extremely popular across 2018 as an option for those golfers who would like to work on their handicap. Alternatively, you could opt for something from the TrueStrike range which have been consistent sellers. 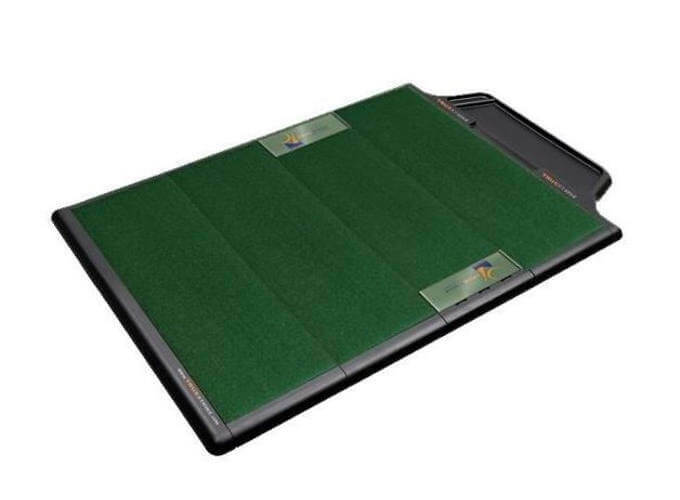 These mats can be useful in a huge range of situations, either to create a realistic looking surface for a simulator, or in conjunction with a golf net in the garden. If you were interested in investing in the whole packaging, many golfers have opted for a Foldaway Deluxe golf net to allow them to practice away from the course. These products are popular for a reason – they are useful and beneficial to golfers whether they are just starting out or they are fine tuning aspects of their performance. If you are looking for a gift that will be actually genuinely useful for its recipient, any of those listed above would make a fantastic choice. If you need more help or are looking for something specific, contact the experts at Golf Swing Systems and we can provide you with advice and guidance.